The course provides comprehensive cover of digital marketing techniques including creating a digital marketing strategy (with customer audit) and marketing plan, designing and creating an optimised WordPress website, using e-mail newsletters and creating a range of digital content including videos, e-books, infographics, images, blogs, status updates as well as digital advertising and lead generation. The course is taught over 18 months, using 18 webinars and 15 e-learning courses. It is assessed using a portfolio of evidence designed to capture practical creation of content, websites, etc. as well as establishing a sound knowledge base. Individual, personalised feedback is given on each assignment to ensure full understanding and practical use in a business environment. 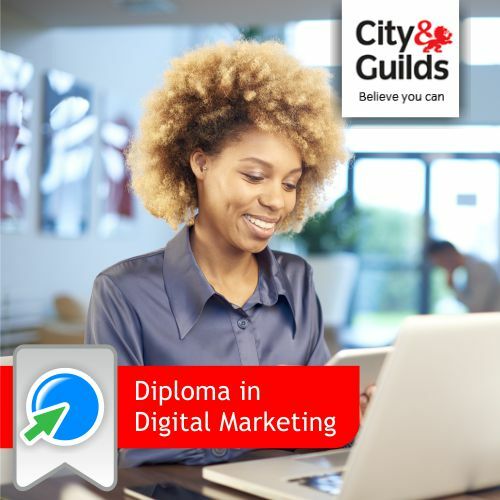 By the end of this City and Guilds Diploma in Digital Marketing – you will have a professional level, practical and theoretical knowledge of digital marketing one of the fastest growing employment sectors in the world. You will look at digital marketing techniques, theories and methods whilst exploring the relationship between websites, social media and marketing campaigns. You will cover all the major social networks including Twitter, Facebook, LinkedIn, Pinterest and Google+ and you will learn how to put together effective digital marketing campaigns and strategies. Measuring the success of digital marketing campaigns is essential and you will learn how to use tools such as Google Analytics to measure key marketing metrics. This Introduction to Microsoft Word 2016 training class is designed for students new to working with Microsoft Word in Windows. Students will learn to create, edit, format, and print Microsoft Word documents. Microsoft Excel is the most widely accepted spreadsheet tool available today. Students taking the Basic Excel course will familiarize students with spreadsheet terminology and the fundamental concepts of Microsoft Excel 2016, including identifying Excel window components, navigating worksheets, and downloading templates. Computer Based Examinations (CBEs) are available for the first seven papers (not the options papers) within the Foundations in Accountancy suite of awards.